What do you do on a rainy Saturday afternoon in the fall when the kids are bored and stuck in the house? That’s the question I’m faced with today, and my roadside fruit stand provided the inspiration in the form of an abundance of apples. I’ve decided to forgo the pie and opt for a healthier option that allows the kids to be more involved. So today is applesauce making day! Homemade applesauce is easy so easy to make, you’ll find yourself wondering why you haven’t done it earlier! Step 1. 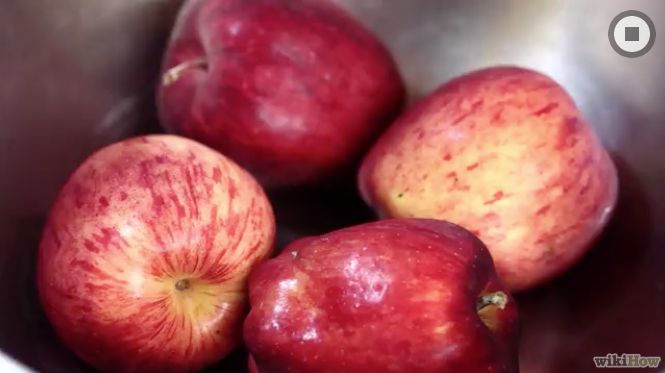 Wash and peel the apples. Step 2. Core and slice the apple. 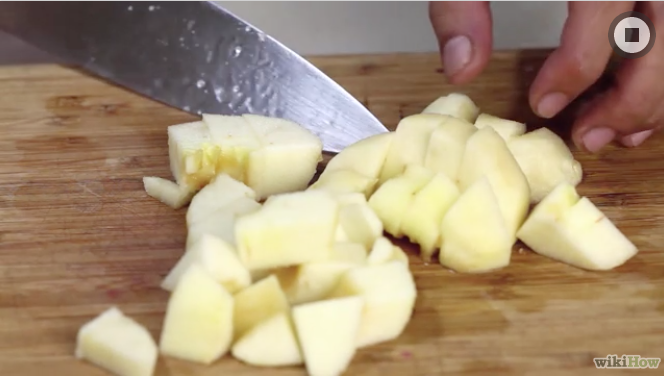 Chop the apple into 1/2 inch to 1 inch chunks. Step 3. 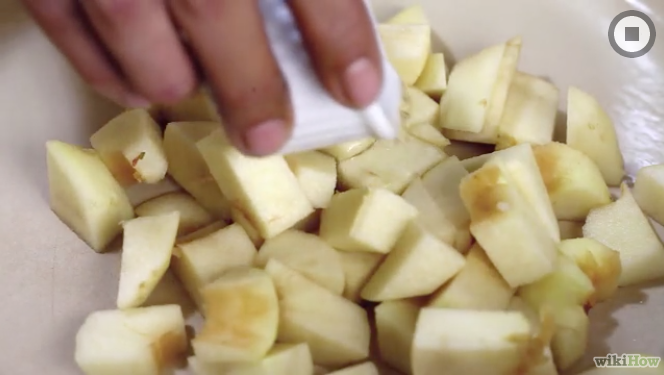 Transfer the apples to a crockpot and pour 2 tsp of lemon juice over the sliced apples. Stir the apples to coat them with the juice. Step 4. Sprinkle the apples with the sugars, cinnamon, and vanilla. Add water. Cover and cook on low for approximately 6 hours. 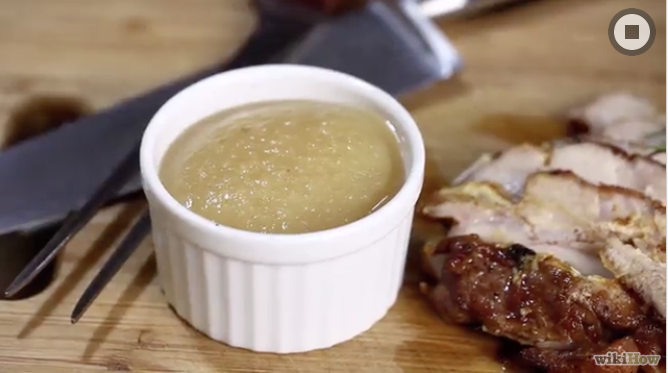 If the applesauce is too runny, remove the lid and cook on high for an additional 30 minutes. It’s really that easy! Check out more ideas for easy projects with kids on our website at jmcremps.com. The instructional portion of this article was provided by wikiHow, a wiki building the world’s largest, highest quality how-to manual. Please edit this article and find author credits at the original wikiHow article on How to Make Applesauce. Content on wikiHow can be shared under a Creative Commons License.